Once upon a time, there was a bar in South London called The Funky Munky (cool name if you're 7 years old, I suppose). It was one of the few decent late night drinking options round here, with cheesy music, a laid back clientele of student doctors and nurses, and a well stocked bar. 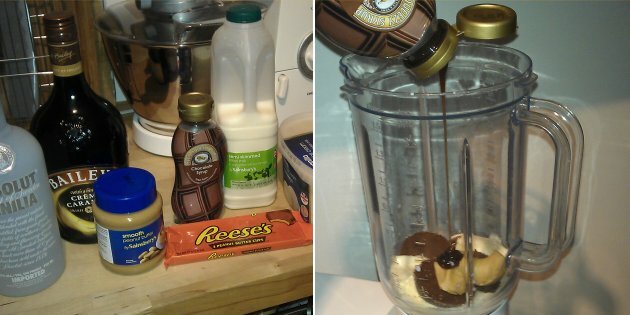 One of the house specials was an alcoholic chocolate bar milkshake. Choose from their menu of chocolate bars, select a shot of your choice, and they'd whizz it up into a milkshake before your eyes. But the Funky Munky is no more (replaced by a bar specialising in craft beers, with an even worse name), so if I wanted to drink one of these, I had no choice but to make it myself. After all, I have a sweet tooth. I like alcohol. I like milkshake. It all added up. I didn't really have a strategy... 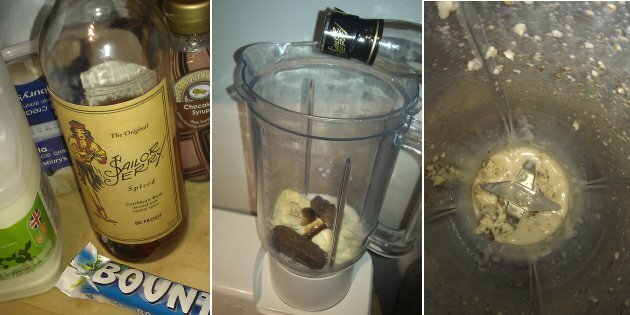 I just threw the 3 peanut butter cups into the blender, with two scoops of ice cream, a glug of milk, a spoon of peanut butter, some chocolate syrup, a measure of Baileys, and a measure of absolut vanilla - I'm sorry, "vanilia". I turned the blender up high until it looked like all the bits had disappeared. Same method as before, except using a bounty bar and a generous slug of Sailor Jerry rum! Coconut and rum seemed like classic combination. But this one really didn't work very well... there were even more bits than the first one, and there were large sticky blobs of coconut stuff at the bottom of the blender. Frankly, a waste of the bounty bar, and a waste of rum. I was not going to make the same mistake again. I broke up the orange Aero, and melted it with some warm milk, whisking until it was smooth. 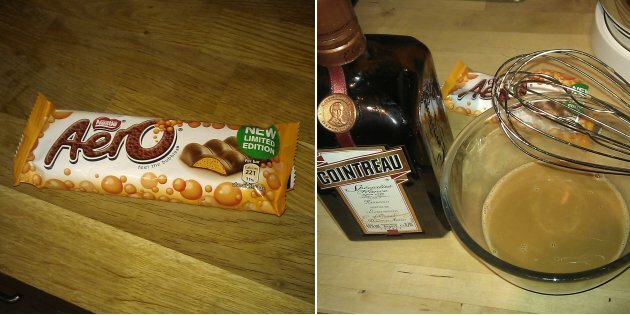 Then waited for it to come back down to room temperature, and put it in the blender with the ice cream, chocolate syrup, and of course, the Cointreau. 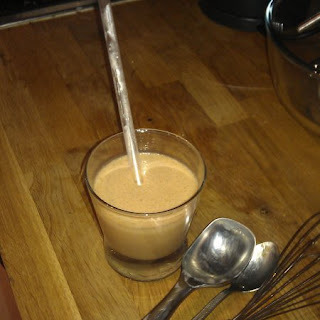 This one was the best - a smooth, chocolatey milkshake with a nice orange zing. But these things are just so damn sweet... and by this point I was feeling really quite sick. And slightly drunk. 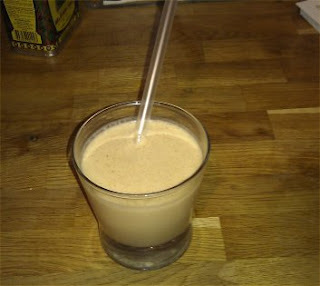 Nevertheless, I bravely finished the third milkshake... and then went for a lie down. I'm not sure I can totally recommend these. First of all, I have to wonder how the punters at the Munky drank these things without puking all over the dancefloor. And I think you'd get better results without using a solid chocolate bar - OK so the orange aero one turned out well, but melting the thing down felt like cheating, and not really in the spirit of the endeavour. But they certainly delivered on the filth front... there can be no question of that.